This week's Sunday Night Suds looks at Saranac Summer Golden Ale. My first post pesach beer purchase was the Saranac 12 Beers of Summer mix box which includes the Summer Golden Ale as well as the ADK Pils, the Tropical Storm IPA (which I suspect is the same as the Tropical Snow Storm IPA included in the 12 Beers of Winter mix box --reviewed here http://kosherbeers.blogspot.com/2017/11/sunday-night-suds-saranac-tropical-snow.html) and the Gen IV IPA (reviewed here - http://kosherbeers.blogspot.com/2015/08/sunday-night-suds-saranac-gen-iv-ipa.html). The Golden Ale was typical of an American Blonde Ale with little hop bite but some citrus which the website attributes to the Centennial and Cascade (my favorite) hops. There was decent carbonation which is the hallmark of the Matt Brewery beers and the lacing stayed on the glass for some time. The beer is 5.00 abv which is also typical for the style and I could see having one or more of these with light summer meals such as grilled chicken or meat salads. 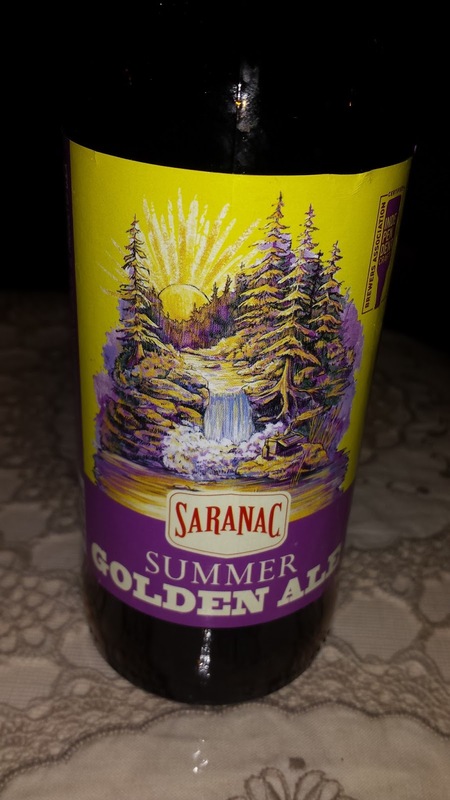 Saranac Golden Ale is under the Kosher Supervision of the Va'ad of Detroit as is every other beer produced at the Matt Brewery plant in Utica, NY. Keep in mind, Saranac has begun to brew many different varieties off site, so check bottles for kosher certification from the Va'ad of Detroit.